For several years, together with yoga teacher Kathryn Davies, Susan has been leading an innovative series of workshops, YogaWrite, in Cardiff and beyond, including the Uncivilisation Festival and YogaFest West Wales. YogaWrite encourages participants to connect with their authentic writing voice by using yoga techniques, including postures, breath work, meditation and visualisation, as a source of inspiration. Safety, relaxation and creativity – such a stimulating morning! I feel the major plus was having time and space and the special crucible that you both created to come more into my body and discover what I was feeling at some depth. The interlinking of breathing and postures with writing was so helpful but without you both being warm, empathetic and ‘yourselves’, I wouldn’t have relaxed and got into it all as I did. Over a period of six years, Susan offered poetry workshops for writers with disabilities on behalf of Disability Arts Cymru. Many of the pieces of writing produced during this period were selected for publication in Hidden Dragons (Parthian Books). She later ran workshops for young disabled people in South Wales for the Ignite the Flame literature project. Susan has also worked as Project Manager of The Great Cardiff Poem, writing – and inspiring others to write – poems about Cardiff to support its bid to be the European Capital of Culture. More than five hundred people took part in her Great Cardiff Poem workshops and many of the poems produced were on public display in the city – on buses, bus shelters, flyposters and advertising hoardings. 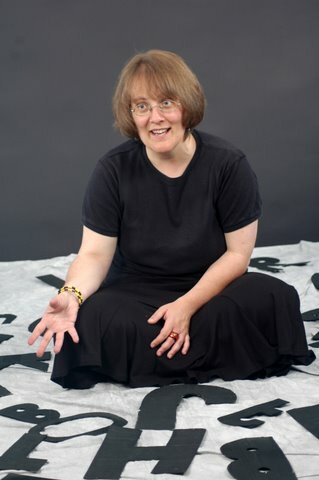 In addition, Susan has run writing workshops for many Women’s Arts Association projects. For the Journals project, she facilitated workshops for a group of Libyan women and also for members of Cardiff’s Yemeni community. She has also offered poetry workshops for refugees and asylum seekers on behalf of the The Welsh Refugee Council. Susan also very much enjoys workshopping in schools. One of her most satisfying schools projects was running scriptwriting workshops on behalf of Cinetig Animation Company. Susan worked with pupils to produce a script inspired by Karagoz Turkish shadow puppet theatre. The script was later animated and shown at the Cardiff Screen Festival. More recently, she has been involved in the Stillwalks Sights and Sounds project at primary schools in South Wales. Susan has opened the doors to a whole new world for me – J.T. Susan’s professionalism at her creative writing workshops embrace her multiple skills, patience and immense support – E.R.T.